Discussion in 'Buckeye Basketball' started by OSU_Buckguy, Apr 9, 2019. MaxBuck, scarletmike, brodybuck21 and 3 others like this. if you don't want high expectations, then don't have a very good and proven coach who has over-performed in his first two seasons, don't return your star player and many key pieces, and don't sign a great recruiting class that includes an experienced transfer who started 34 of 35 games for an elite eight team. Fungo Squiggly, Thump and brodybuck21 like this. with cronin's departure for ucla, how fortunate it is for cincy's new coach that he'll be christened with a road game at ohio state. Bestbuck36, scarletmike, brodybuck21 and 3 others like this. Thump, LitlBuck and brodybuck21 like this. I get that some people enjoy having high expectations for a season. In my experience, it leads to disappointment more often than not, especially in college basketball with all the parity and how the Dance is... but I get it, some people just enjoy that kind of anticipation and feeling really good about their team's prospects. More power to them. But for the people who use high expectations as their launching platform for relentless criticism of the players and/or coaches every time we look less than great or lose games... no on the "more power" thing. Some criticism is fine, of course, but y'all know what I'm talking about. Too many of our fans lack perspective on how extremely difficult it is for a team to really stand above their competition in college basketball, especially when they're playing in a conference as tough as our conference is going to be next season. And then there's the trolls. The trolls we have with us always. If this were the "Price is Right," I personally think Seth Davis is the one most likely to move on to the next round. But it's mad early to be making any kind of predictions as we haven't even got into the thick of early entries and transfers and all that. if it's mad early to be making any kind of prediction, then why are you already pinpointing a prediction of 24th as likely being the most accurate? Bestbuck36, Fungo Squiggly, NFBuck and 5 others like this. 1.) Does Kaleb continue to get better and learn not to foul? If he become a legit 16 and 10 guy who demands double teams, then look out. 2.) What is the impact of Carton and Walker? Is Carton going to have a Craft like impact as a freshman or is he going to be more like Muhammad/Washington this year? 3.) What is the growth of Washington/Ahrens/Muhammad? We need Washington and Ahrens to be guys that can reliably shoot 35%+ from 3. Muhammad needs to at the very least return to his early season form, you would hope that he plays even better than that. 4.) Can Gaffney and Liddell contribute? 5.) Does Jallow develop his offensive skills at all? If Kaleb becomes that dominant, reliable inside threat to go along with some good 3 point shooters and Carton is an instant impact guy like Craft then look out, they could be top 15. If the current freshman don't take the next step and the incoming guys are disappointing then we are probably a borderline tourney team again. OSU_Buckguy, nomatta, LitlBuck and 1 other person like this. THE BUCKEYES ARE IN! Book your tickets now, folks, the Buckeyes are going to Tampa. 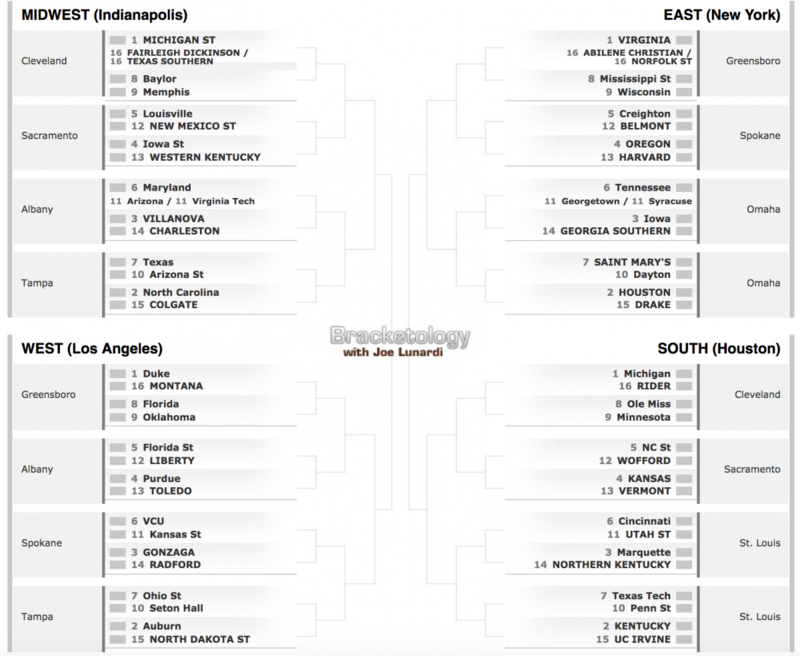 Joe Lunardi has spoken. While y'all were watching (or ignoring) Virginia vs. Texas Tech, the notorious bracket-knower was hard at work and dropped his first projection for next year's NCAA Tournament, and he's got the Buckeyes in as a No. 7 seed. With all due respect to Lunardi, with whom my loyalties run deep, he's wrong. A No. 7 seed implies there are at least 24 better teams in the field, and that's not happening. Hell, Jeff Borzello of ESPN has the Buckeyes as a top-10 team entering next season in his way-too-early top-25. 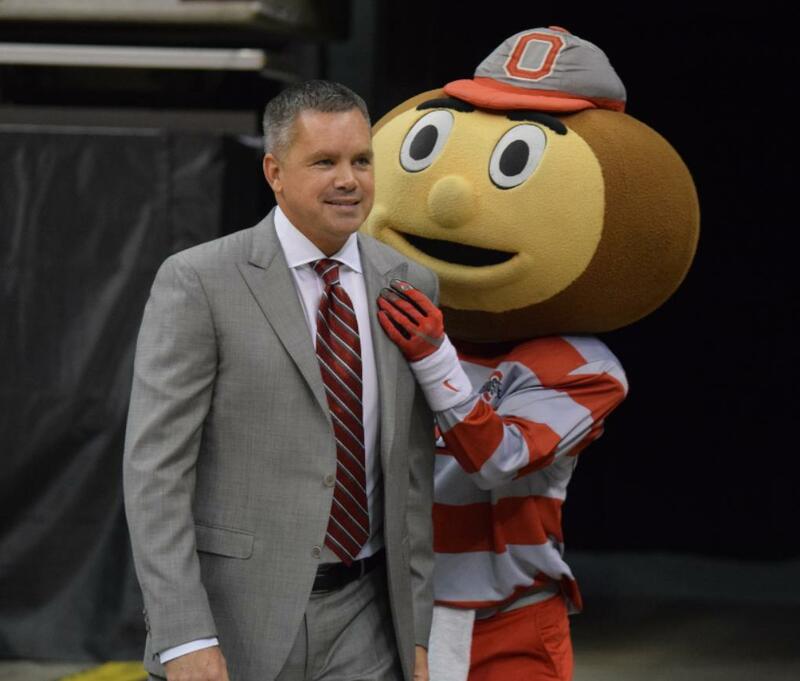 The Buckeyes have overachieved in back-to-back years, going to the second round in each of Chris Holtmann's two seasons in Columbus. Next year, though, they will enter the season with some expectations. Ohio State loses CJ Jackson (31 starts) and Keyshawn Woods (15 starts) but replaces them with five-star point guard DJ Carton and four-star forwards Alonzo Gaffney and EJ Liddell. Kaleb Wesson is an anchor inside, and starters Andre Wesson and Luther Muhammad are also back. Even if you think that's optimistic, Sporting News wasn't that far off, putting the Buckeyes at No. 14. Ohio State won't have be worse than a No. 5 seed, and could be as high as a No. 3 seed. Here I am getting worked up about a bracket projection done almost a calendar year in advance. It ain't healthy but that's the life of a sports words poster. Give me a 2021 bracketology and I'll be mad online about that one, too. Because if I were trying to make a guess, I would personally be picking something between Davis' 24th and Goodman's 16th. And if you over-shoot in "Price is Right," you out. But I'm glad I'm not trying to make a guess now and that was the caveat I was making. Not that any preseason rankings ever are worth the paper they're no longer printed on. My question for you is why are you asking questions you already know the answer to? Oh wait, nevermind, I know why. And if you over-shoot in "Price is Right," you out. in that case, maybe it's best to wait for everyone to rank osu in the preseason polls before one-dollaring them with 353rd. Fungo Squiggly and LitlBuck like this. Personally think it will depend on our ability to spread the court with shooting. Kaleb is going to be dominant despite the fact that some fans want him gone. I think high teens to twenties is a fair estimate. nomatta, brodybuck21 and OHSportsFan like this. Kaleb is going to be dominant despite the fact that some fans want him gone. Bestbuck36, Fungo Squiggly, Thump and 2 others like this. I agree. Perhaps even more crucial than the incoming freshmen + CJ Walker will be the development of consistency in outside shooting from Luther, Duane, and Justin. DJ/CJ driving to the basket or Kaleb passing out of the post is only half the equation if we don't have wings hitting outside shots. I do not know if you read this someplace or you just think some Ohio State "fans" truly think this.. If they do, they are indeed morons.